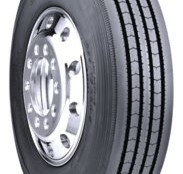 MUSCATINE, Iowa — Two more Bridgestone truck tires have gained entry into the US EPA SmartWay Transport Partnership program. 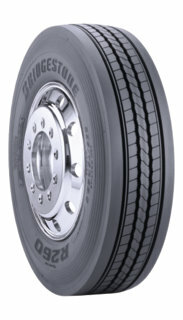 The R260F and R250F all-position regional tires are the latest to be endorsed by the program. 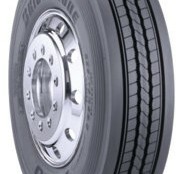 Both tires are geared towards promoting long tread life and low cost-per-mile in high-scrub urban environments, Bridgestone claims. 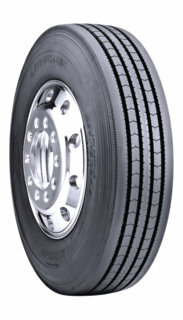 The R260F has a 22/32-inch tread depth and is geared towards regional and urban service. It features a Equalizer Rib to fight irregular wear and groove-bottom platforms to improve retreadability, the company says. It also has thick protector ribs on the sidewalls to fight curbing. The R250F is intended for brutal urban and local P&D applications in steer and trailer positions. Both sidewalls feature protector ribs to reduce damage from scrubbing and curbing and the casing includes four steel belts with an all-steel casing ply for long life and retreadability, according to the company.